A hen party is so much more than just a girls’ night out – it’s about strengthening friendships, celebrating each other as women and blowing off a bit of steam in the process too! With the rules thrown out the window and your best friends by your side, it’s a good way to work off some of those pre-wedding jitters and reconnect with your girlfriends too, reinforcing those all-important bonds of friendship. We’ve put together some suggestions on making this special night even more amazing, so whether you’re the lucky bride to be or are simply organizing the event for a special lady, we hope you’ll find them useful! You know your hen best – does she like to get involved in everything or would she prefer you make everything a surprise? A lot of brides can get a bit overwhelmed with all the planning that goes into the big day itself, so taking the stress off her by organising a surprise hen do can be a good idea. 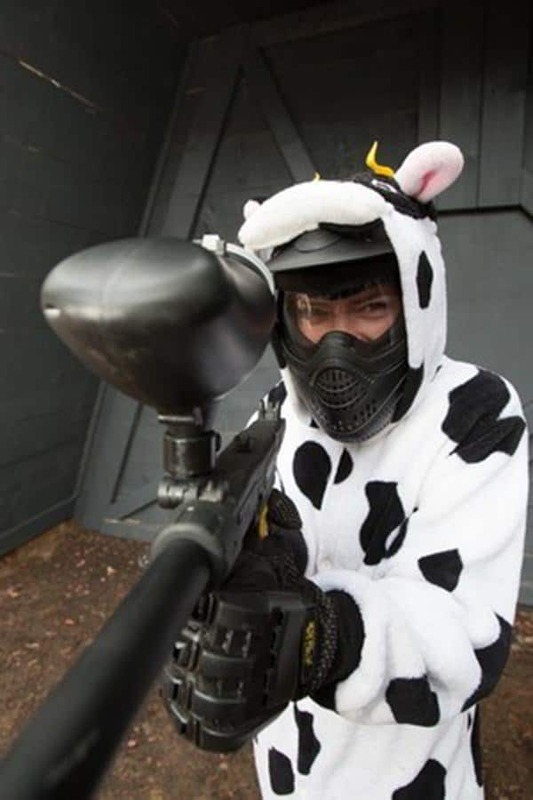 Plus if you are the group organiser you’ll be pleased to hear that our event coordinators at Delta Force Paintball will take care of everything for you. Once you have everyone assembled, it’s time to set the mood for the evening. If there are members in the group who don’t know each other yet, then hosting an unusual game (with a few drinks thrown in, of course!) can be a great icebreaker. Helping each other apply temporary tattoos, or outrageous makeup and wigs for the evening can be good fun and help set a silly tone for the rest of the party. If you’re planning on consuming a large number of beverages, it’s always a good idea to make sure the evening doesn’t start off with empty tummies! Make sure to have snacks available or have a good lunch before the main event. At Delta Force Paintball we offer a hot lunch during the day for our hen party experiences, so you can be sure everyone has lots of energy for the festivities to come! For dinner, hit the bride-to-be’s favourite restaurant or order in some take out at her place. It’s a great opportunity to take in a sushi, bread or chocolate making course too. It’s all about the bride to be and here at Delta Force we have a lot of experience hosting epic hen parties that have become a specialty of ours! Paintballing with friends is always fun and if you and the girls dress up for the occasion then it becomes even more so – and you’re sure to end up with some great photos to remember the day too! Costumes really do add that something extra, so choose a theme that your hen will love. If the bride to be has a favourite book, TV show or movie, why not let her pick a character for each of her friends to play? If she’s a quiz fan, then why not dress up as a bunch of badass boffins! Our movie-set quality game areas will lend an aura of authenticity to your fantasy world for the day, whatever intriguing scenario you come up with. It’s your day so play it your way! With all the stress and hassles that come along with planning a wedding, blasting your mates with paint can be a much-needed stress reliever! Although after a day spent chasing after enemies, scrambling for cover and ducking shots overhead, a girl could use a little pampering! Why not order in a mobile massage or beauty team to offer some relaxing mani-pedis, massages and treatments for the day’s heroines? Even better, couple it with a mobile cocktail bar and make sure the hen’s favourite music is lined up on the playlist. However you choose to celebrate it, a hen night is a wonderful way to strengthen friendships and create some treasured memories. 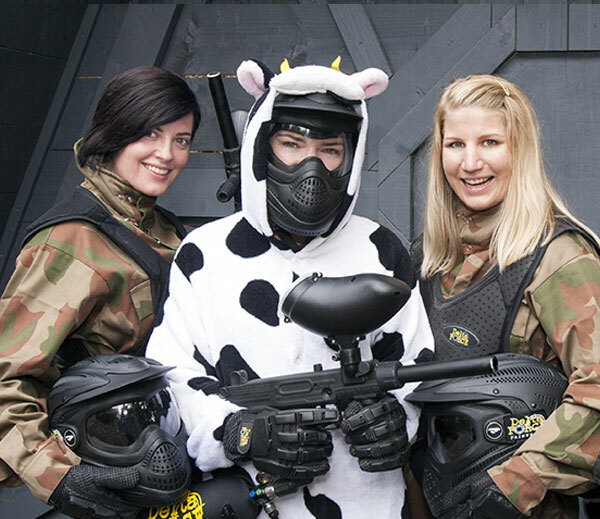 So all you need to do is give us a quick call 24/7 on 0203 869 9301 to book your perfect hen paintball party.